Kill off those unwanted weeds on your driveway, patio and paths. Sometimes it can be hard to find a product that is strong enough to deal with weeds growing on hard surfaces. 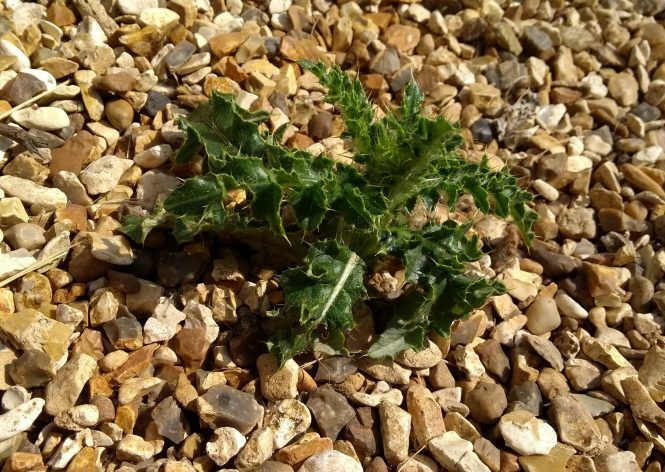 Weeds can look untidy on driveways, patios and paths. I use a professional total kill herbicide that cannot be bought over the counter at garden centres. This product will control even the most stubborn of weeds safely. You can be sure that the herbicide is professionally and safely applied and only ever when the weather conditions are correct. I also use a Glyphosate-based, total weed control treatment to completely kill off the grass in an old lawn when undergoing a lawn regeneration and re-seeding treatment. It does not affect germination of young grass and allows a fabulous new lawn to grown through. All weeds and weed roots are completely killed from the hard surface area. They are killed down to the root and so will not grow back. Improves the look of your garden by tidying patios and paths. Allows all weed and weed grasses to be controlled to enable new grass to grow through. Weeds near to a lawn or other plants may not be treated due to possible transition into plants that you want to keep. I recommended hand weeding these transition areas. Very small risk of damage to plants near the treated area. Weed control treatments should be applied when the weeds are growing most strongly, which is usually from spring through to late summer. A total weed control needs to be applied in dry weather, preferably on a calm day. It also works best when the target plants are growing well (i.e. not in a drought, or cold conditions). It is rain-fast in a hour, so it will be taken in by the plants very quickly after treating. There is no preparation needed before the total weed kill treatment, apart from keeping the area clear of vehicles and heavy garden furniture. It can be applied alongside the standard treatments. It is a liquid spray treatment, so doesn’t take long to apply. Total time does depend on the size of the area to be treated! There is no waste from this treatment, other than the dead weeds. It may be necessary for you to brush over the treated area with a stiff yard broom to remove the dead weeds. This will be a few weeks after the treatment has been applied. I also recommended letting the area dry before walking on it, if only to prevent spreading the herbicide around your garden on your boots!